Happy Birthday Bogie and Kimba! 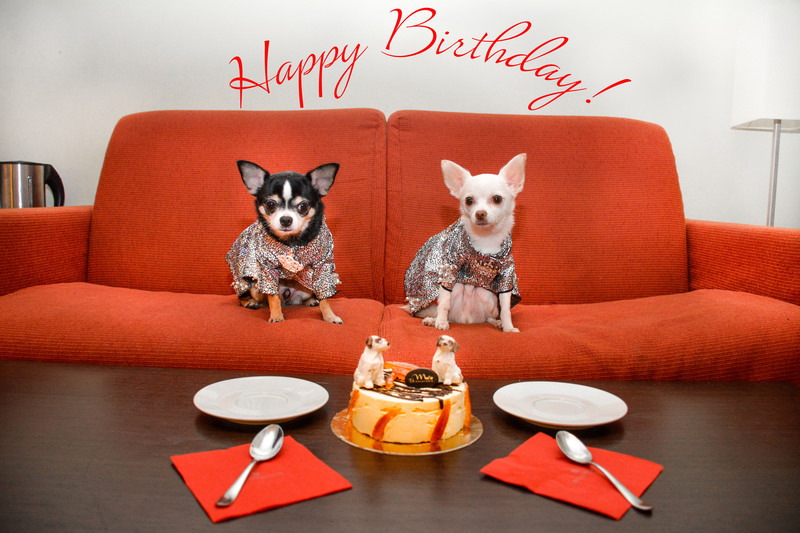 Chihuahua twins Bogie and Kimba turned a fabulous 4 years of age. We picked up a delicious mandarin flavored cake, dressed them in new couture and celebrated their magnificent lives. With my boys @BogieAndKimba. Photo taken at the #EasterParade by @DezSantanaPhoto. Thank you for the wonderful photo. . . .